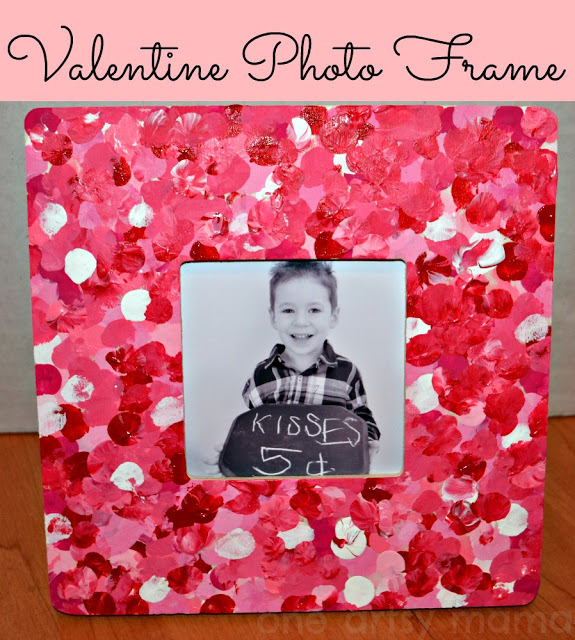 Valentine's Day is such a fun holiday to share with kids, and there are so many fun craft ideas you can do with them—from homemade gift ideas, to fun home decor to fancy accessories and fashion! 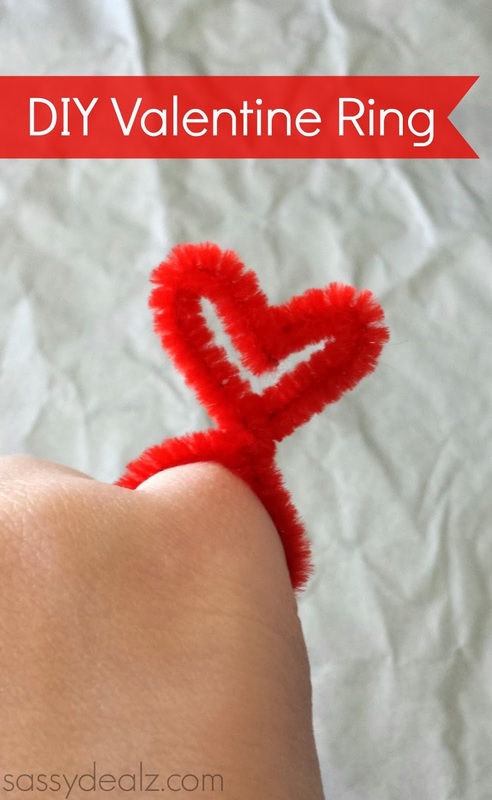 Whether you are throwing a Valentine's Day party with kids or just in the mood for love-inspired crafting, you will love this roundup of 10 fun and easy craft ideas! It's so easy to decorate an unfinished wood frame and turn it into a LOVELY masterpiece with just a red, pink and white paint and your fingers! 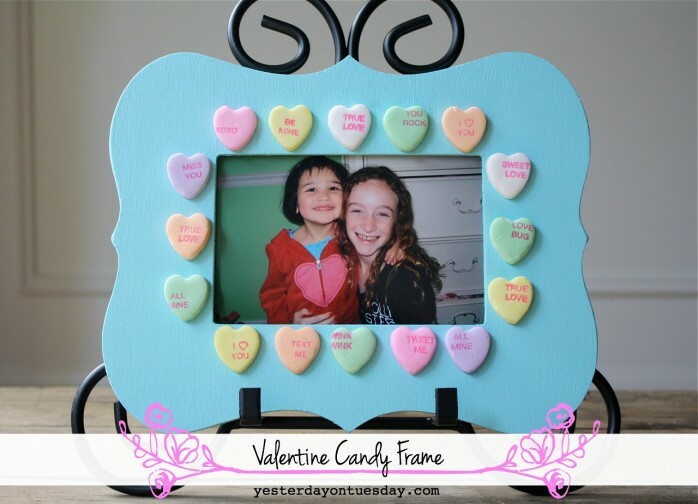 Or try attaching conversation heart candies to a pretty painted frame for a perfectly delicious showpiece. 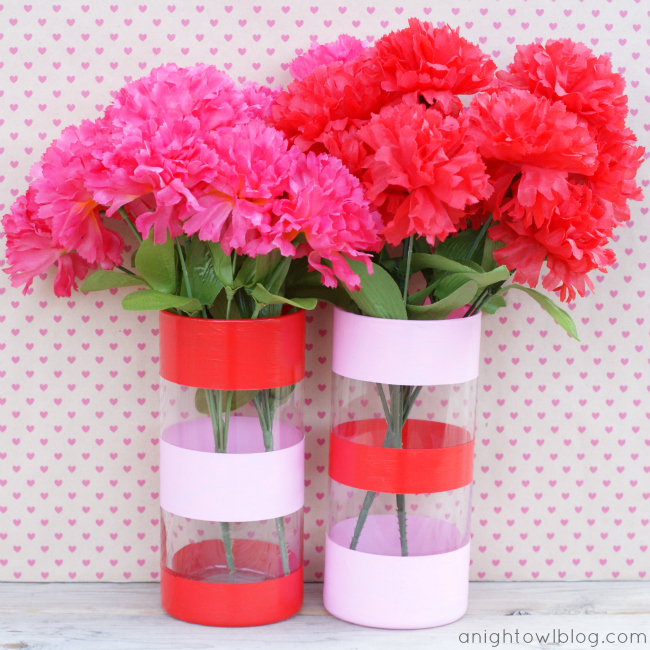 Dress up plain vases with Gloss Enamel paints in festive Valentine's Day colors and a little painters tape to create pretty stripes. 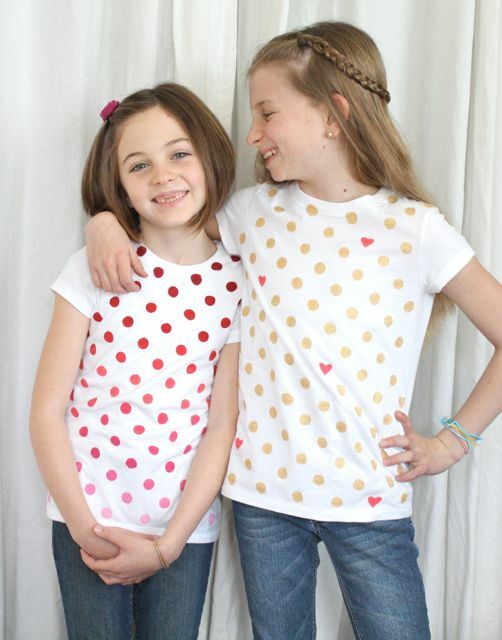 Show off your Valentine's Day fashion with these fun and easy hand stenciled shirts. Or glam it up with pipe cleaner rings! 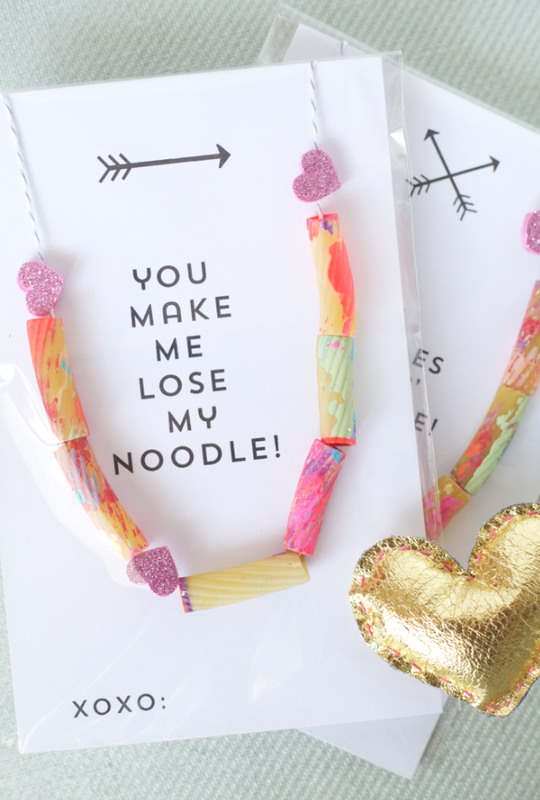 Give the gift of handmade fashion with these super cute painted noodle necklaces. 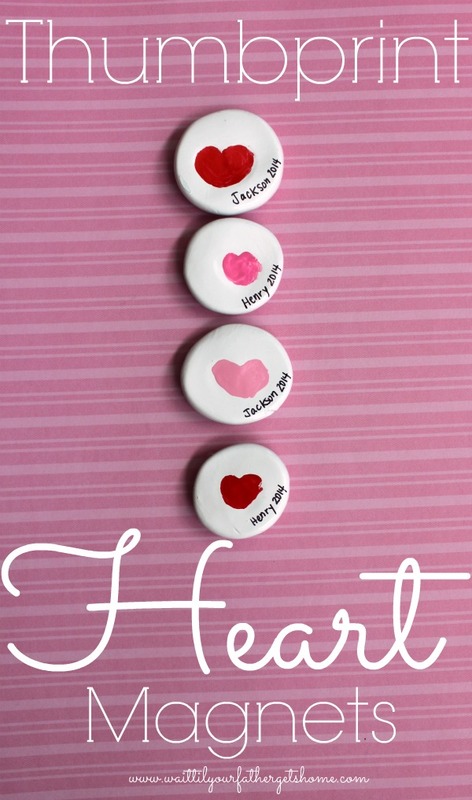 These hand-painted magnets are a perfect craft idea to make a loving impression. 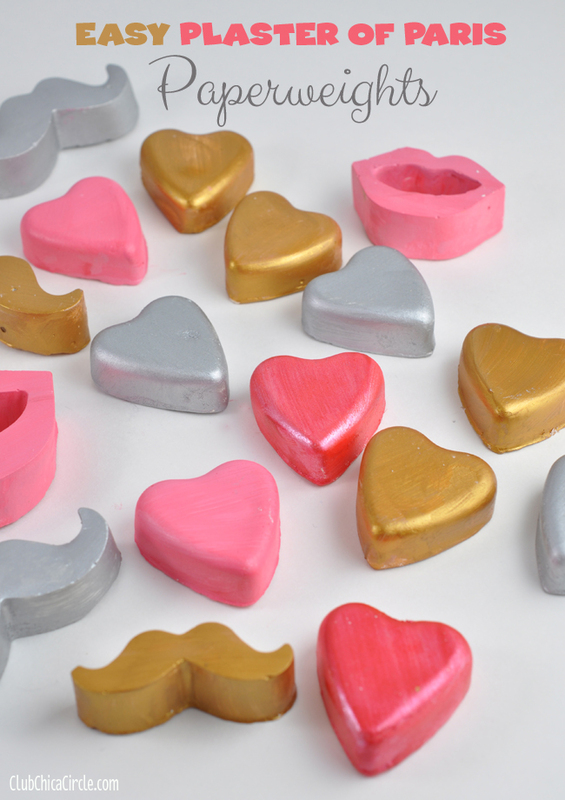 Or try these molded and metallic painted paperweights in heart and lip shapes. 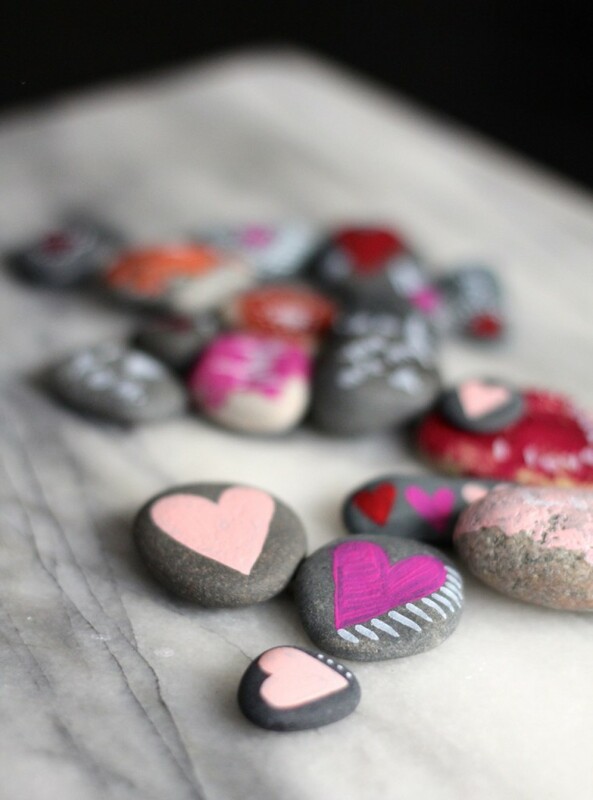 And Turn the ordinary into the LOVELY with pretty painted hearts and designs on river rocks. Be sure to visit Club Chica Circle for more projects and to learn more about Pauline Molinari.